Stephen Fleming, Georgia Tech’s chief commercialization officer, will manage the new Georgia Tech Edison Fund. Thomas Edison often receives credit for inventing the electric light bulb, though his real accomplishment was in making the device — as well as the phonograph and motion picture camera — commercially successful. That focus on commercializing innovation is now providing the foundation for a new venture bearing Edison’s name at the Georgia Institute of Technology. Launched by a multi-year grant from the Charles A. Edison Fund — which is named for the inventor’s son, a successful businessman and former governor of New Jersey — the Georgia Tech Edison Fund will provide seed funding for early-stage technology companies that have a close association with Georgia Tech. In his role as Georgia Tech’s chief commercialization officer and director of Commercialization Services within the Enterprise Innovation Institute, Fleming helps faculty members, graduate students and others launch new companies through Georgia Tech’s VentureLab. He sees first-hand how difficult locating early funding can be. 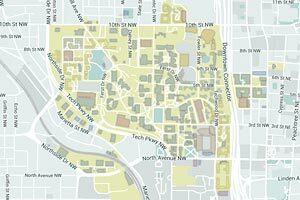 Fleming plans to make the requirement for a Georgia Tech connection as broad as possible. For example, the Fund will invest in companies that may be founded by Georgia Tech faculty, students and graduates; licensing technology from Georgia Tech; sponsoring research at Georgia Tech; or even hiring a large number of Georgia Tech alumni. The Fund will be “evergreen,” meaning it will reinvest the proceeds from any liquidity events back into other opportunities. Fleming is establishing an investment committee to help guide decisions. The investments will generally be less than $250,000. The Georgia Tech Edison Fund has already made its first investment in Pramana, a member company of the Advanced Technology Development Center (ATDC) that is commercializing Internet technology developed in Institute’s College of Computing. 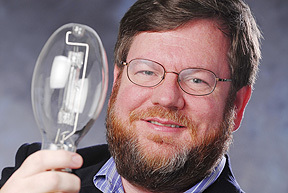 Fleming says the Charles Edison Fund and Georgia Tech are natural collaborators. For potential donors, the Fund offers a unique opportunity. Donations to the Georgia Tech Edison Fund will be completely targeted to entrepreneurs. The Fund is not charging a management fee, nor is it paying carried interest to the managers, Fleming noted. Gifts to the Fund will be received by Georgia Advanced Technology Ventures, a 501(c)3 non-profit affiliated with Georgia Tech, and so will be tax-deductible. Donors will receive no financial benefit from investments made by the Fund, he added. For the Charles Edison Fund, the new Georgia Tech initiative represents an opportunity to continue the tradition of innovation and entrepreneurship established by the famed inventor. The collaboration with Georgia Tech is the first university partnership for the Edison organization, which supports a broad range of educational activities aimed at keeping the Edison tradition alive. Georgia Tech alumnus Edward Allman, a long-time member of the Charles Edison Fund board of directors, played a key role in advocating the funding to establish the Georgia Tech Edison Fund. For more information about the Georgia Tech Edison Fund: (404-385-2360) or (ude.hcetag.etavonninull@sc). — Dan Treadaway in Georgia Tech’s Institute Communications and Public Affairs contributed to this article. Media Relations Contact: John Toon (404-894-6986); E-mail: (ude.hcetag.etavonninull@noot.nhoj).